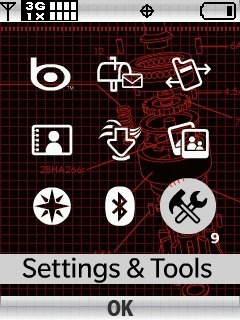 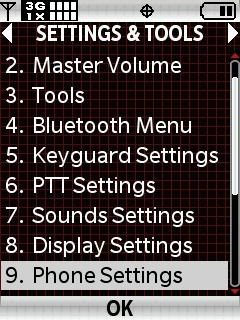 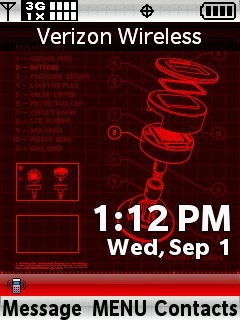 Select Phone Settings then press the center of the 5-way navigation pad to choose OK. 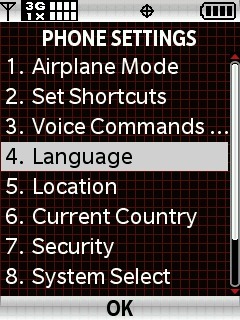 Select Language then press the center of the 5-way navigation pad to choose OK. 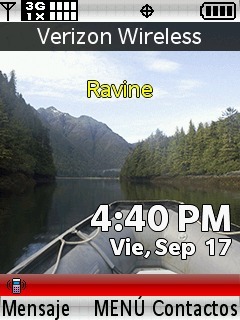 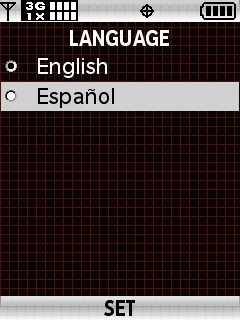 Select Espanol then press the center of the 5-way navigation pad to choose OK. Select Prog y Herr then press the center of the 5-way navigation pad to choose OK. 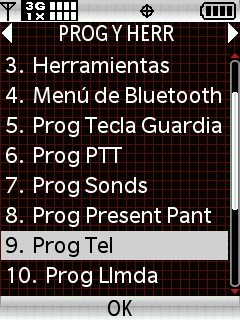 Select Prog Tel then press the center of the 5-way navigation pad to choose OK. 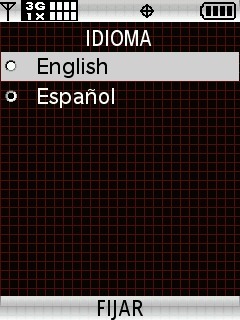 Select Idioma then press the center of the 5-way navigation pad to choose OK. 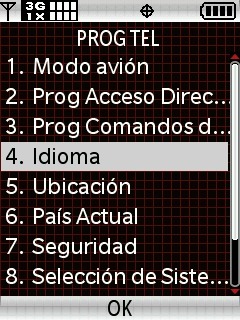 Select English then press the center of the 5-way navigation pad to choose Fijar.